Women’s World T20 2018: Why India started the chase against Pakistan at 10/0? Pakistan, who actually made 135/7, lost two runs from their total as well. India started their Women’s World T20 2018 campaign on a high with a resounding win over New Zealand in the tournament opener and a clinical win over Pakistan on Sunday. In the second game against arch-rivals Pakistan, India elected to bowl first on winning the toss. Bismah Maroof and Nida Dar scored fifties after they were reduced to 30/3. The 93-run fourth wicket partnership helped Pakistan Women finish on 133/7. 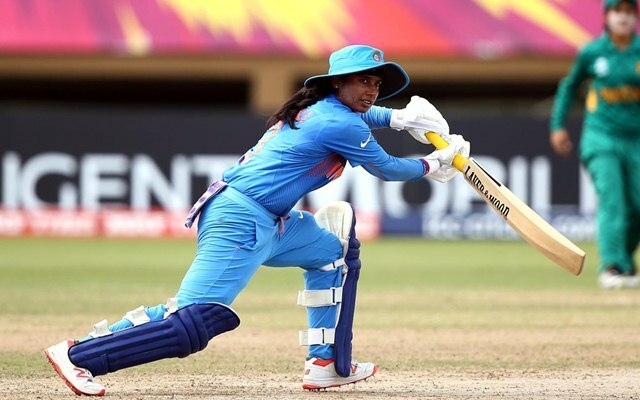 Mithali Raj’s 47-ball 56 in the chase and contributions from others guided India to a seven-wicket win with one over to spare. This win meant India are now close to sealing a spot in the semi-final. In their chase of 134 against Pakistan, India’s scoreboard read 10/0 even before the start of their innings. This was due to the two five-run penalties awarded to India in the previous innings as the Pakistan players were found guilty of running on the pitch twice even after being reprimanded by the officials. After a quick single on the second ball of the 16th over in the first innings, on-field umpire Gregory Brathwaite handed an official warning to the Pakistan team as the officials found the duo of Nida Dar and Bismah Maroof was running in the danger area. The same was repeated at the start of 18th over when Maroof picked up a quick single after playing a cut shot. Umpire Suzanne Redfern declared the ball dead and awarded India five penalty runs which meant the chasing team gets a head start of 5/0. Maroof returned to the striker’s end and the single they picked was cancelled. On the final ball of the innings, Sidra Nawaz ran from the middle of the pitch to complete a run after coming down the track against Poonam Yadav. Umpire Redfern once again declared the ball dead and awarded five more runs to the Indian total. Pakistan, who actually scored 135/7, lost two runs from their total for running in the danger area. They had to defend ten runs less than their total as Indian Women started at 10/0. Even in the next game between Australia and Ireland, five runs were awarded to the fielding side as Ireland Women ran in the danger area in the 13th over of their innings. As a result, Australia began their 94-run chase on 5/0. The ten penalty runs in the India-Pakistan game is the first instance of a team getting penalized as many as ten runs for running on the pitch in any International game (Men/Women). Kenya conceded ten penalties in an ODI in 2012 against Ireland as the ball touched the helmet behind the wicketkeeper twice. In Men’s Test cricket, there are two instances when penalties accounted for ten runs. During the India-Australia Test match in Chennai in 2004, Parthiv Patel missed the ball twice in two innings which hit the helmet behind him. India and Australia were penalized once each for unfair fielding efforts in the 2008 Nagpur Test.